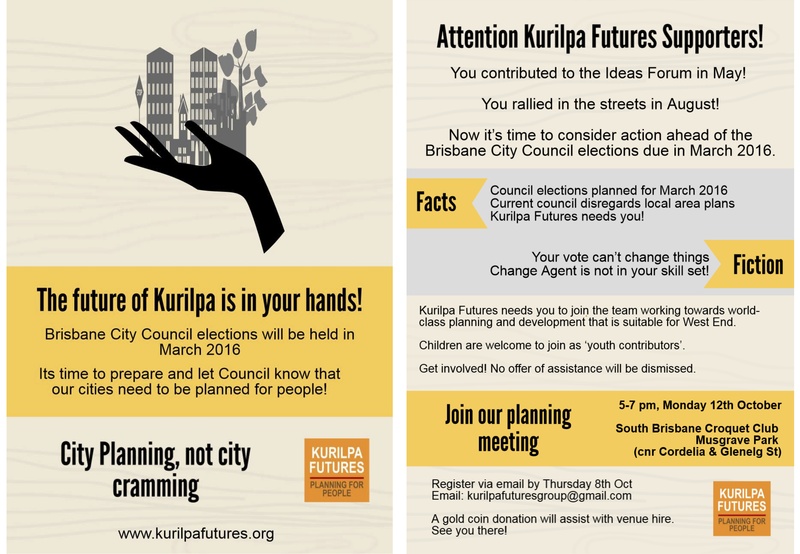 Attention all Kurilpa Futures Supporters! You came to the Ideas Forum in May. You rallied in the streets in August. Now it’s time to consider action ahead of the City Council elections due in March 2016. RSVP: by Thursday 8th October by emailing kurilpafuturesgroup@gmail.com with attending numbers. A gold coin donation will assist with venue hire.See you there! The Croquet Club Community Hall, 91 Cordelia St, in Musgrave Park opposite Glenelg St, South Brisbane. Come and see for yourself West End’s brand new public meeting place, the former Croquet Club, beautifully restored as a much needed community space.